It’s common to associate insulation with cold weather. 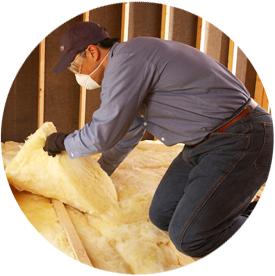 After all, it is easy to imagine insulation like a blanket surrounding your home in order to keep it warm. Though insulation is responsible for making your home cozy and comfortable during the winter, it also is equally useful for keeping hot air outside on a scorching hot day! How effective is your insulation? By calling the insulation experts at Tidewater Insulators, you’ll get all the answers you need. Call our professionals today at 757-828-0024 to learn more. Age of your home. Was your home built prior to the 1970s? If so, your insulation may not be as effective. Your local insulation company will be able to help. Amount of air leaks. Does it feel like hot air is getting into your home even though your air conditioner is working perfectly? If you think you need to air seal your home, the problem might be a result of poor insulation. Check to see if there are drafts near windows and doors or uneven temperatures from room to room. Performance of your cooling system. Is your air conditioner running more than normal to keep your home cool and comfortable? This could be a result of insufficient insulation levels, which means your HVAC system has to work harder than usual. If any of these factors are happening in your home, it may be time to re-insulate! Start summer off on the right foot with an energy-efficient home. You can even visit the U.S. department of Energy online to calculate the payback period of adding insulation. Do you live in Northern Virginia and want to make sure your home is as efficient as it can be the summer? There’s only one name to know: Tidewater Insulators! We’ve installed insulation for homes throughout Northern Virginia and can help make it more comfortable and energy efficient. Want a FREE quote? Contact us online or by phone at 757-828-0024 today!